Our Digger Hire are with driver only. 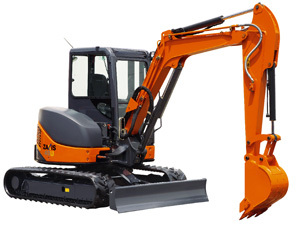 Our highly experienced operators have the skill and accuracy to make any job look easy. We offer a range of services including preparation for driveways, gardens and landscaping, footings etc. With a great range of diggers and dumpers available all delivered and operated in one complete service taking the hassle out of any project. Our diggers range from small 1 ton machines up to a mighty 10 ton capacity, all have various buckets and even concrete breakers. You can be sure that we have the capability to undertake your requirements and can help you complete you projects with success. 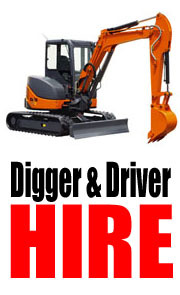 Making the job that much easier, hire a digger and driver delivered and operated professionally. Fast service, delivered and operated. Large range of machines from 2 ton up to 10 ton. Call us for a quote and discuss your requirements or email us.